ChemMaths perfect software engineering tools. Offering an extensive array of features to solve, inform and interpert engineering problems/equations/data. Saves time in solving problems, performing calculations, obtaining chemical/ mathematical/ scientific data. Improve productivity, easy to use, all the right tools in the one application. Ideal for engineering, scientific professionals, students and educational personnel. Customizeable program screen, picture sizes, structure, font and colours. Media Player interface and bulit-in Web Browser : Play music , videos, rip CD's, burn CD's and browse the internet. Calculator : Standard/Scientific Calculator 20+ constants used throughout the science world. Units : 250+ unit conversions Imperial<->Si, from multiple categories, add user defined as well. Read below for further features. A set of tools essential for any engineer ChemMaths is the ultimate tool for any engineer, regardless of which branch is specialized, since it contains all the tools necessary to perform any calculation, either basic or complex or any graphical representation, as well as online and offline queries Connection on the more than four thousand chemical compounds, elements of the Periodic Table, vapor table data, acid and base dissociation constant and gas and general liquid data among many other things. 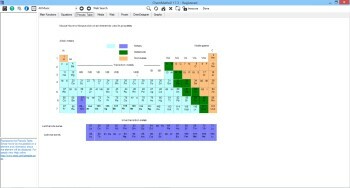 Perfect for both students and teachers, either for consultation or as a teaching tool ChemMaths is an application that you will be grateful to have on hand. In ChemMaths also you will find utilities that will help you to realize conversions of values ? ?in more than three hundred units, as well as the option to add your own ones if you miss some. Become an expert engineer and have all the information you may need throughout your career as a student and researcher with ChemMaths, a tool as complete as it is easy to use. 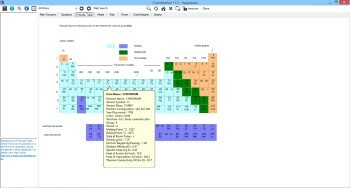 Periodic Table : Contains information on most of the elements of the periodic table. Atomic No., Mol. Weight, Density, Melting Point, Boiling point, Specific heat, Neutrons, Electronic Structure. Chemical Inorganic and Organic compound Properties : Find information on 3000+ Chemical, Inorganic and Organic compounds. i.e. Details on the compounds, Formula, Molecular Weight, Compound Colour, Compounds Form, Specific gravity etc..
Critical Constant Calculations : Allows the prediction through calculation of the critical constants of compounds. The method employs using Lydersen’s method. Gas Diffusivities /Liquid Diffusivities Calculations : Allows for the prediction of gas and liquid diffusivities . The prediction is based upon the group contributions of each individual component of the compound. Physical Chemical Data: Contains Details on 481 organic/inorganic compounds. Data includes : Molecular Weight, Normal Freezing point, Normal boiling point, Critical temperature, Critical Pressure, Critical Volume, Liquid Density, Heat of Vaporisation, Liquid Viscosity, Standard enthalpy of formation, Standard Gibbs energy of formation, ideal heat capacity, vapour pressure. Allows for temperature changes to occur in calculating certain properties. i.e. Heat capacity. Solids/Liquids/Gases Properties : Information on 101 solids compounds, 22 gas compounds, 24 liquid compounds. Density, melting, boiling point temperatures, conductivity, specific heat values. Surface Tension Calculations : Allows the prediction of surface tension values for various organic compounds. It uses the Sugden equation and group contribution values. Thermodynamic Data : Data on 376 compounds. Data includes compound state, Enthalpy, Gibbs free energy, Entropy, Heat capacity at standard conditions. Thermal Conductivity Data : Calculates the thermal conductivity of liquids and gases using the Webber equation. 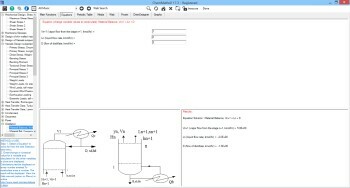 Viscosity Calculations : Calculates Viscosities of liquids by considering the components structure. Using Souders’ equation. 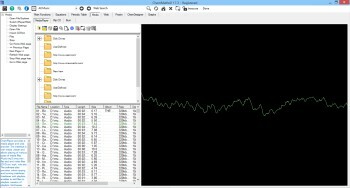 The program also allows viscosities of Binary Mixtures to be calculated. Force Diagram Solvers : Allows calculation of the forces, angles and distances in various force related problems. From set structures to forces in any direction. Eight separate items. Includes drawing of the objects. 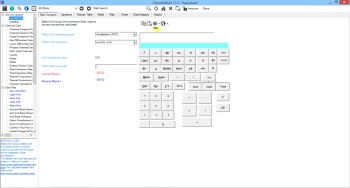 Area/Surface/Volume : Calculates areas and volumes of over 35 shapes. Rectangles, circles, cylinders, pyrimids, Annulus, sphere etc..... Includes a drawing representation of the objects. Anti/Derivative : Find the Anti. and Derivative of 39 common functions. Geometry : Calculate variables of Lines, Circle, Hyperbola equations. Includes drawing of the objects. Interest : Interest Equations solved : compound, simple and Annuity interest and also deposit calculations. Variables of each equation can be solved for. Laplace-trans : Contains 25 laplace-trans. formation equations to solve for. Sequences & Series : Find the sum, terms of arithmetic, Geometric series. Calculate Permutations, Combinations. All variables of each equation can be solved for. Statics : Allows the calculation of the centre of gravity and moments of Inertia for various objects. Includes drawing of the objects. Triangles : The lengths, angles and areas of triangles can be solved for using either the sine or cosine rule. Any length or angled can be easily solved for. ChemDesigner - Drawing : Chemical display/drawing package. Enables drawing of chemical compounds. Contains over 60 predrawn structures & symbols. Files can be saved and printed out. Chemical – Stoic. : Calculates the mass mole of the compounds of a chemical equation, using the given information. Uses the Stco-metric coefficients, reaction consumption to calculate the required/remaining amounts of compounds once the reaction occurs. Dilution Calculations : Calculates percentages and mass quantities of a two substance, two input and one exit stream system.The system enables calculation of unknown amounts of the mass and percentage of one or two streams. For instance the mass of stream 1 and the percentage of stream 3 can be calculated with all the other amounts known or the mass and percentage of stream 1 maybe determined or any single quantity can also be determined. Heat Calculations : Calculates the sensible heat and total heat of a process. There can exist any multitude of feed and product streams and heat, phase changes to the system. The results are all displayed in a grid which can saved to a text file. Mole Calculations : Calculates/converts the compositions of compounds expressed in W/W%, M/Vol%, VOL/VOL% fractions. Calculates mass, mol fractions, density, volumes, percentages, concentration and finds totals. Prosim – Simulator : Prosim is a customizable process design package. 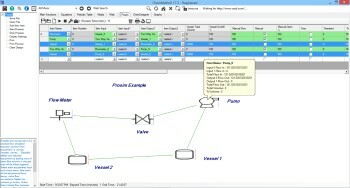 Which allows the user to design a process simulation situation. It currently incorporates 5 process items which controls can be manipulated through the effect of other items. 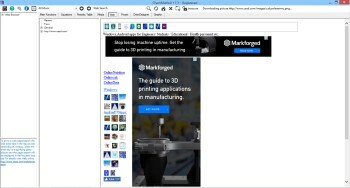 Designs can be saved, edited, printed, process results can be saved as the process is running. Situation Solvers : Solving 30 + problem situation scenarios. Featuring Heat, heat conduction through plates, pipes, mass flow & Work situations. 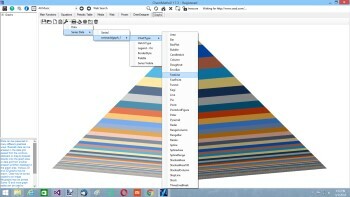 Graphs : Data can be presented in many different graphical ways. Basically data can be entered in the data grid, pasted from the windows clipboard or drag & dropped directly onto the graph area or data grid from another program and then displayed in the graph area. Various 2D and 3D graphs may be drawn. Data may be saved, copied to an image file, graphs may be printed. 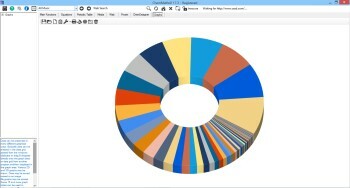 Some 15 and more graph styles can be used to represent data. 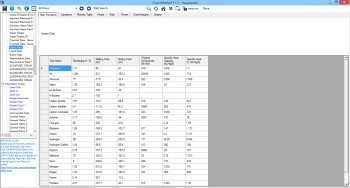 Data is entered interms of rows and columns.then displayed in the graph area.